This tutorial cover installation, setup and basic commands of go-ethereum. After completing this tutorial, you can setup your own semi public ethereum network. 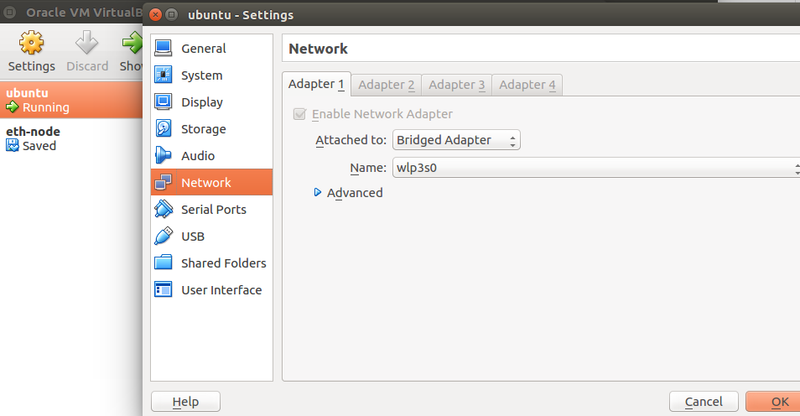 If you are using Virtual Machine, bridge the network adapter as below. Create a directory node_app to add script files containing geth commands. Inside directory node_app , create a file account.sh . Put the below command inside account.sh file. press Ctrl + x and y and enter to save file. The directory structure become like below. Notes: "alloc" properties will fill your account(s) with ether. You need to fill account-address with the previously created account. When you setup geth on another computer, you need to use the same 'genesis.json' file in order to make successful connections between nodes. Create a file init.sh . Make the file executable as above. Create a file console.sh putting the below command and make it executable. Let’s Create another account to transfer ether. Open another terminal and Inside node_app directory, run ./account.sh . You will see two accounts when running eth.accounts inside console. Check the balance of new account. Unlock account to send transaction. The above transaction is mined by geth as below. 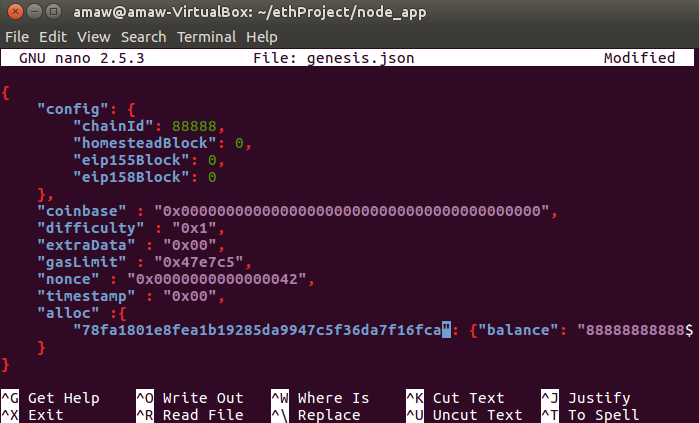 Now, geth is running as a single node with own genesis block and mining transactions successfully. 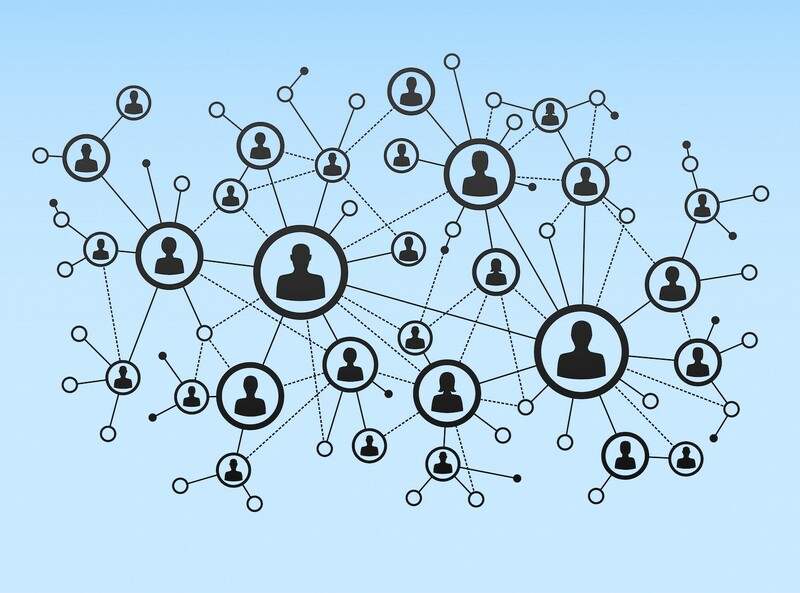 Let’s create a blockchain network. Copy node_app folder to another computer. Run scripts inside node_app folder. When geth run, it will detect static-nodes.json and connect to the node(s) using enode(s). Transfer ether from account of first node to account of second node. Now, you have successfully created blockchain network using geth. You can add as many nodes as you want by adding enodes inside static-nodes.json file. Blockchain workshops using ethereum and Truffle.